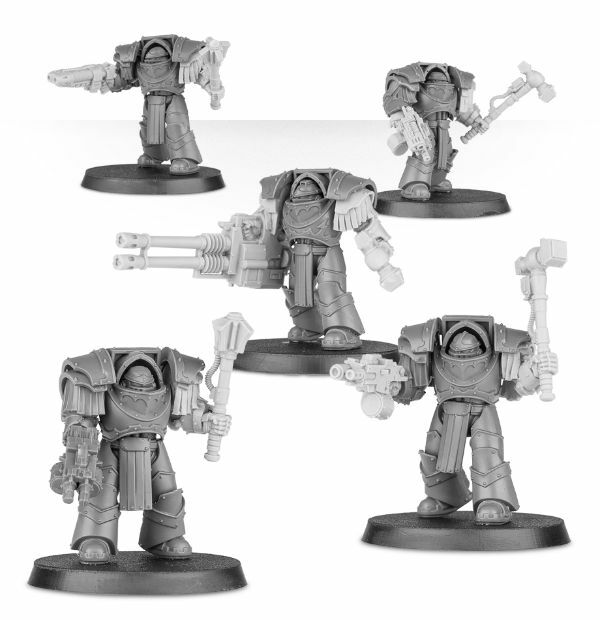 Once more Forge World has new ways that you can customize your Space Marine miniatures. 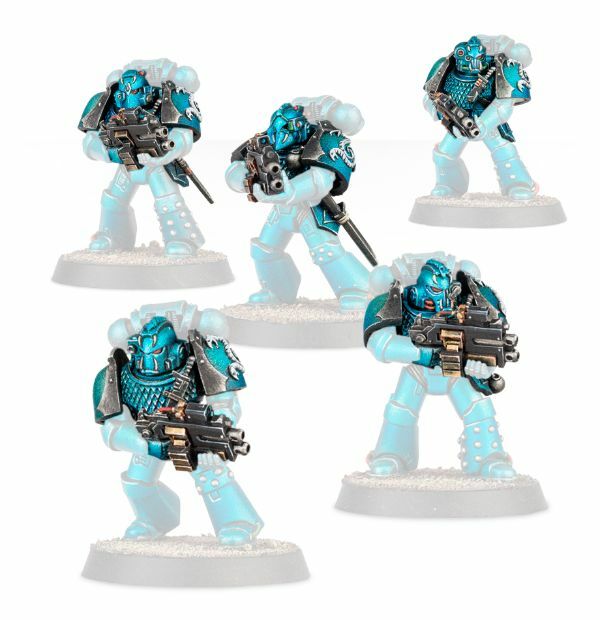 This time around, if you're wanting to play Alpha Legion, or if you've been itching for some more options for your Cataphractii terminators, you'll want to see what they've got available for you. 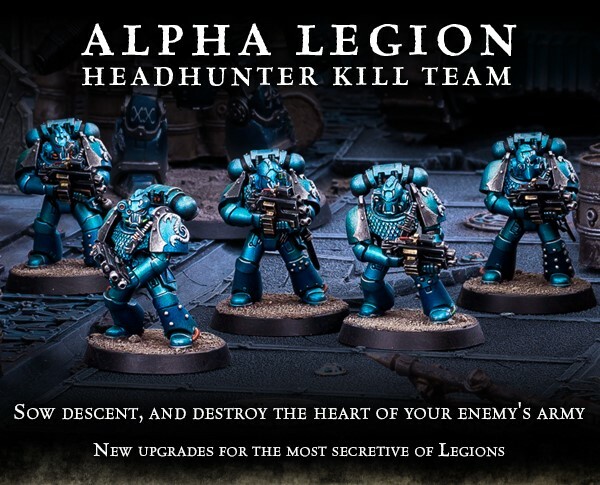 They may not initially seem like it (being in teal armor and all), but the Alpha Legion Headhunter Kill Teams are experts at infiltrating into the enemy ranks and sowing discord, taking out enemy leaders, which makes things worse, of course. 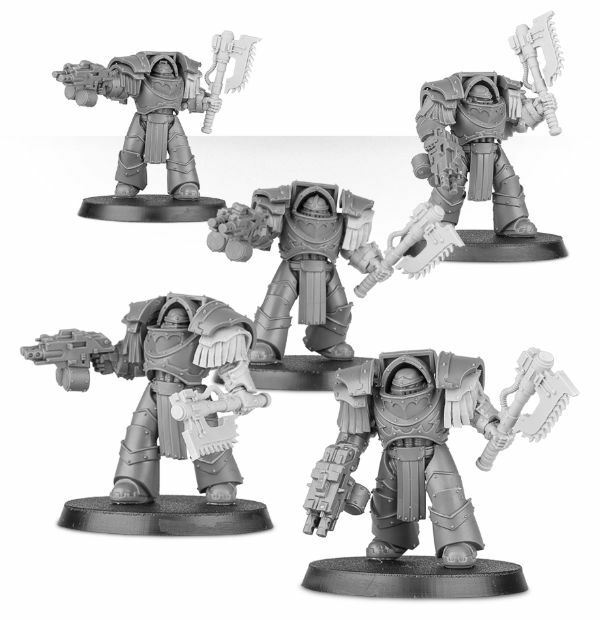 As for the Terminators, they've got a new set of special weapons as well as power axes, depending on exactly how you want your guys armed (literally and figuratively). And if you magnetized your dudes, like I did with mine, you can swap out weapons quickly and easily.